The wheels are turning, albeit slowly! 2017 was a great year of VC-backed exits in India: 82 exits with total value at $2.7B. It is common knowledge that most of this value came from three big transactions – $800M part exit from Flipkart, $500M exit from Ola and $250M from PayTM. The inference – take away Softbank & Tiger Global, and Indian VCs have no material exits to show from their portfolios! Fast forward six months to mid-2018, and the scorecard shows a tenfold increasein the exit value only through acquisitions.While the big Walmart-Flipkart acquisition ($16B) once again skews this value, VC-backed exits data reveals interesting insights into how the ecosystem is taking shape. One of the most common mechanisms for investors to exit is through portfolio company acquisitions. 94% of exits in 2018 (till date) were through acquisitions, up from 78% in the same period in 2017. Peel the onion for a closer look and optimism sets in. About 40% of the acquisitions were made by larger VC backed Indian startups. This is a clear sign of the maturing Indian startup ecosystem. These acquirers have the resources and are run by savvy founders who see great value in growing inorganically and are supported by investors who have seen acquisitions work well. Some homegrown unicorns have dedicated M&A teams who work in lockstep with their product and business teams and constantly scout for opportunities to help expand their product portfolio, markets and often also to acquire good talent. Flipkart, PayTM, RedBus, InMobi and several other successful VC backed startups have motivated a whole generation of entrepreneurs. For e.g. there are over 200 startups founded by ex-employees of Flipkart. These companies have further raised equity money and are scaling well – some examples include PhonePe, Runnr, CureFit & Exotel. This is still not enough reason to celebrate – why? Most acquisitions, unless as high profile as that of Flipkart’s, don’t generate the kind of multiples VCs can be proud of. Minus Flipkart, the total acquisition value of the remaining 52 acquisitions is $11.9B and these companies collectively raised only ~$800M of external capital before the acquisitions. Consider the acquisition ecosystem in the US – according to Mind the Bridge & Crunchbase Startup M&As 2017 Report, the top 15 world acquirers are all US companies with 9 of them from Silicon Valley. Additionally, 16% of the acquired startups return 1-3x to their investors, 8% return 3-10x and about 5% generate 10-100x returns selling into other startups, multinational and domestic corporations. India, on the other hand, is largely a buyer’s market – acquisition valuations are usually not competitive, and acquisitions are often orchestrated to provide companies with a soft landing versus completely writing them off. Market entry: Walmart’s acquisition of Flipkart (for $16B) was driven primarily by their intent to enter India and still have a fighting chance vis-à-vis Amazon. This may be the best example of a true India VC backed startup generating rockstar returns for everyone on the cap table (Ashish Gupta an early angel made 1200x, Accel Partners made 8x, Tiger Global made 4X). 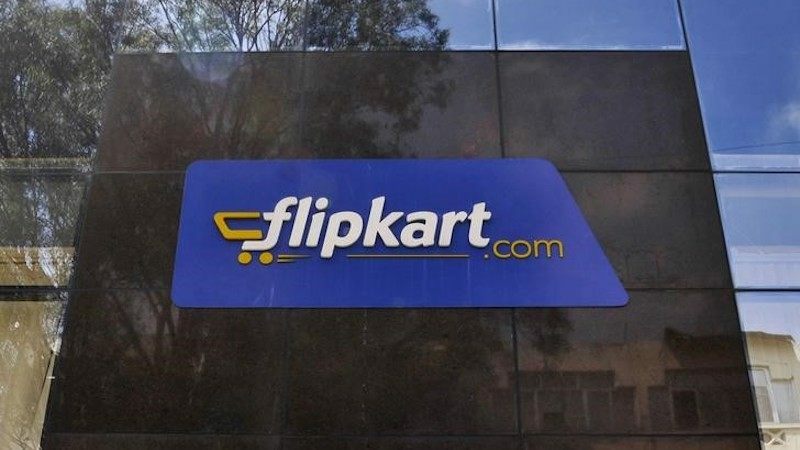 Such a grand exit was possible only because Flipkart grew to be the single largest Indian e-commerce player standing. Strategic product expansion: Infibeam acquired Unicommerce, a SaaS company in the order fulfillment space, for $17.8M, after less than 6 yrs of operations and $10M raised from Tiger Global and Nexus. Snapdeal was Unicommerce’s customer and they acquired the company to expand into a business adjacency. Subsequently, though, Snapdeal divested this investment to focus on their core e-commerce business when Infibeam acquired Unicommerce. Technology platform: Embibe, an online test preparation portal, which raised about $11.M from Kalaari, Lightbox, and others, was acquired by RIL for $15.3M in 2018, also 6 years after being in operations. The asset of greatest value for RIL was Embibe’s technology platform. Aside from the Walmart-Flipkart example, in each of the other cases above, it is easy to calculate the return multiples (approximately) and deduce that they were not grand by VC standards. Not to mention the several other acquisitions where Indian startups acquire other smaller Indian startups but at much lower ticket sizes (acquisition values have not been disclosed). In most such cases, the investors are likely just about recovering the money they invested. The not-so-hot story of the not-so-hot sectors? Of the 53 acquisitions in 2018 (till date), only 3 of them are in healthcare and lifesciences up from 1 from the same period in 2017. Take the other core sector, Education, and it is a similar story – 2 in 2018 (till date) and 2 in the same period in 2017. In both these sectors, the M&A ecosystem is formed by traditional large local companies, family offices (for e.g. publishing houses like S Chand in education, InfoEdge in skilling) and global corporates (for e.g. GE, Philips and others in healthcare). Traditional companies clearly need to plug themselves into the “innovation ecosystem”, for their businesses to continue to thrive and grow. However, they are very slow in their decision-making processes and more importantly pay very poorly for such acquisitions. Most common reasons for large corporates to acquire startups are market entry, product portfolio expansion or talent acquisition. Except in the case of a market entry, where these corporates are likely to look specifically at “regional leaders”, startups in India are competing with startups globally to be acquisitions of choice. The well-funded local startup ecosystem is in its infancy in India in these sectors. For e.g. Practo, labelled as a “soon to be a unicorn”, is one of the very few startups in the healthcare sector actively acquiring smaller startups (total of 5 acquisitions) to grow. 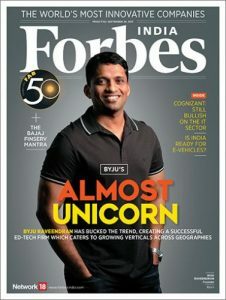 An equivalent in education is Byju’s with 4 acquisitions to date. Just like the domestic consumption story driving the Indian economy, till there are a good number of homegrown unicorn equivalents in these sectors, M&As will likely be hard to come by. Focus on becoming the market leader or a close second, find a large potential acquirer as your customer & innovate for a key gap in their product or service portfolio or build a strong product, technology or team – you are then likely to be a coveted acquisition candidate. While early-stage investors are catalysing innovation they are also revisiting their theses and structures. There are a slew of specialized funds that have come up and are focused on innovation in frontier tech. In parallel, the macro ecosystem is also slowly maturing. Collectively all this will cause ripple effects motivating more incumbents and newer unicorns to get the exits engine cranking. It is clearly the beginning. While it has taken about 10 years for big exits to start appearing, the real question is whether the next 5 years will actually see tenfold increase in billion dollar exits.